You never realize how well gold goes with every single thing you own until you actually buy something gold — especially shoes. 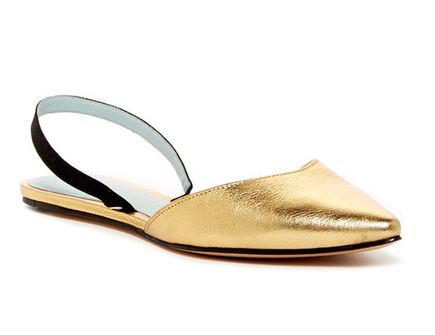 These are slingbacks, which is the DEFINITION of summer shoes. Be proud of your lady parts! They work really hard and do incredible things. 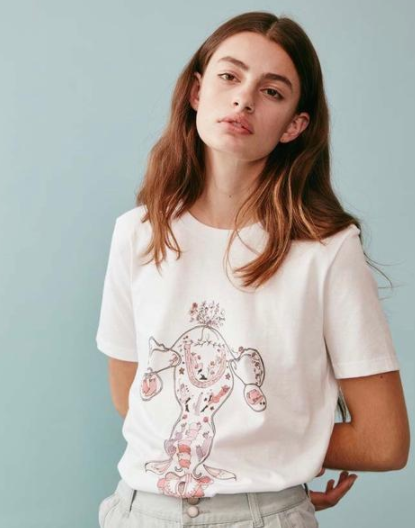 Also, this shirt is just gorgeous; I will never be able to get enough of Rachel Antonoff’s genius. Do you see me caring that it’s 85 degrees out every single day here in L.A.? No, you do not. No one will take away my ritual of cupping a hot mug of tea at night before I go to bed. NO ONE. 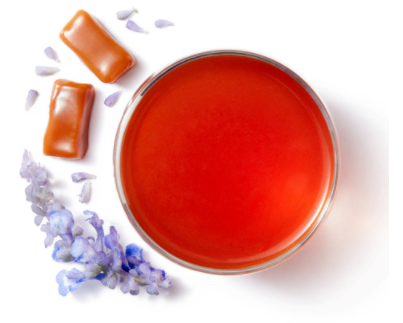 This lavender crème herbal tea from Teavana will sooth all your sorrows and is just plain delicious. Add a teaspoon of honey if you know what’s good for you. 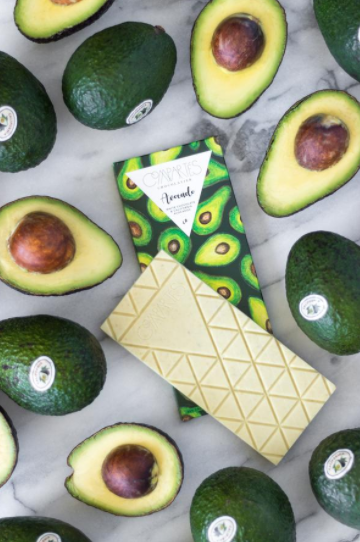 These vegan kale and avocado chocolate bars from Compartes make me feel so L.A. They sound more like a salad than chocolate, but they’re delicious. 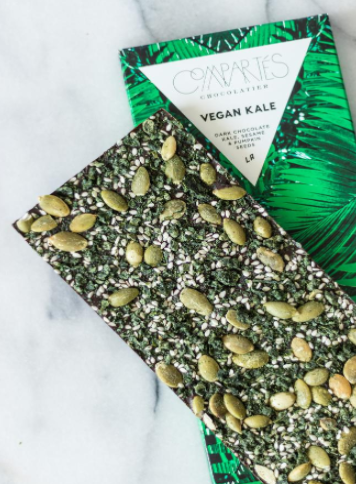 I especially love the kale one, which has crispy kale bits and pumpkin and sesame seeds. 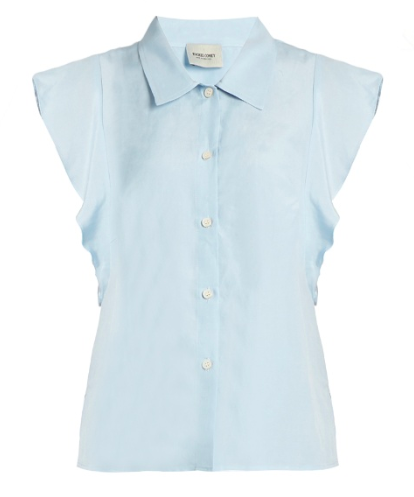 I’ve had my heart set on this sweet little Rachel Comey top for months now. 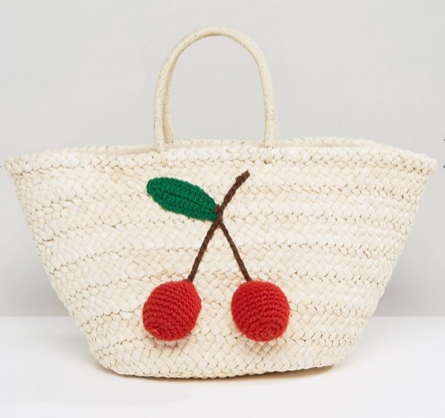 I’ve been using an old canvas tote as my beach bag, and this cherry straw carryall is the perfect upgrade.